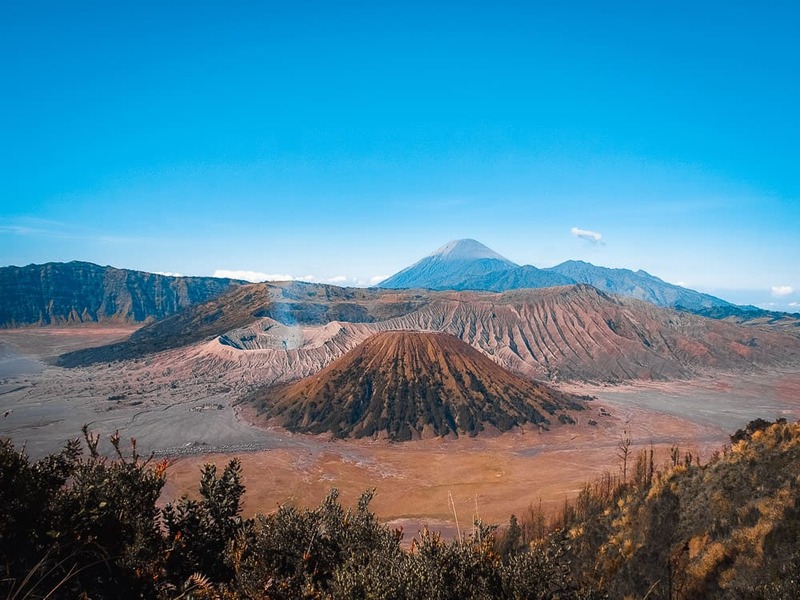 Mount Bromo and Mount Ijen are two very active volcanoes that I have been dying to go and explore for quite some time now. 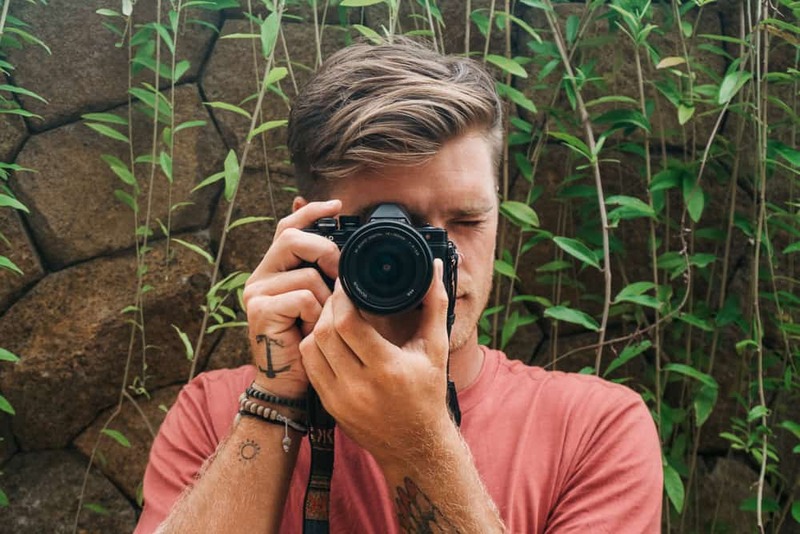 This week I did just that and I couldn’t have picked a better way to do the Mount Bromo Tour and Mount Ijen Tour than with the guys at Indotravelteam! 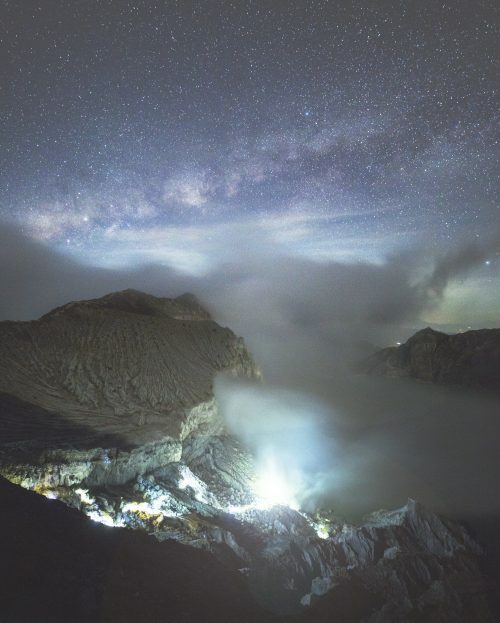 Mount Bromo and Mount Ijen are located in East Java, Indonesia. 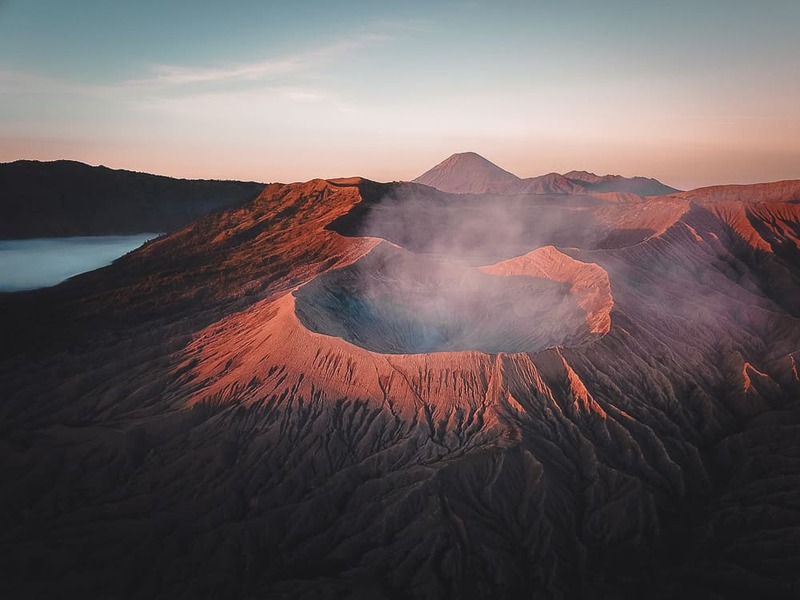 Java is home to 45 active volcanoes, which in my opinion is absolutely insane! 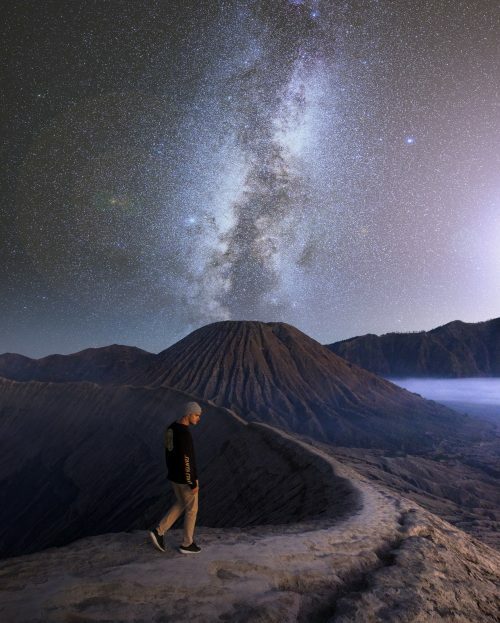 The two most popular volcanoes to hike and explore are Mount Bromo and Mount Ijen. 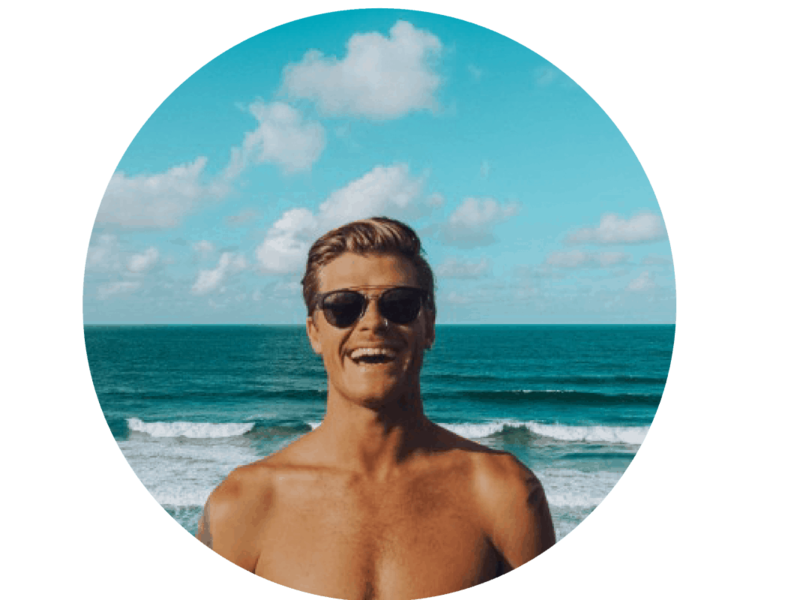 Pick up in a minivan from Seminyak, Bali and then a 4-hour drive to Gillimanuk, the port in West Bali. This is where the ferries leave for Java and the crossing takes about 1 hour. After arriving at Banyuwangi (Java port), drive approximately 2 hours before stopping for lunch. (Javanese and Indonesian food). From there, the drive is approximately 4 hours (with the pick up possibility at Probolinggo railway station around 4 / 5 pm) to reach the village of Bromo (2300m altitude), after the dinner in a warung (traditional Indonesian restaurant) spend the night in a simple but clean homestay (with hot water), ATTENTION very cold nights! 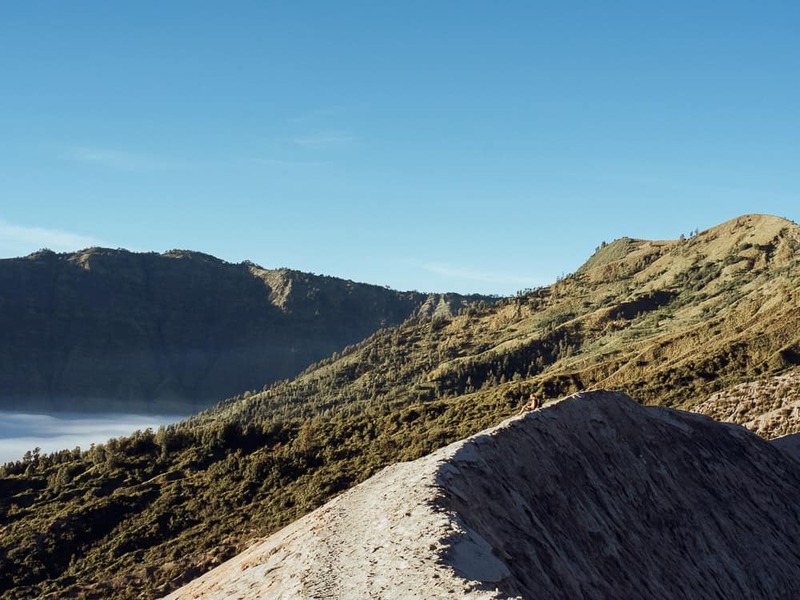 At 3.30 am, leave the homestay in a Jeep (4×4) with a driver/guide for the viewpoint (King Kong view) at the top of the caldera of the volcano Tengger. There you will watch a magnificent sunrise over the valley of volcanoes, Mount Bromo 2300m, Mount Batok 2400m and Mount Semeru 3670m. 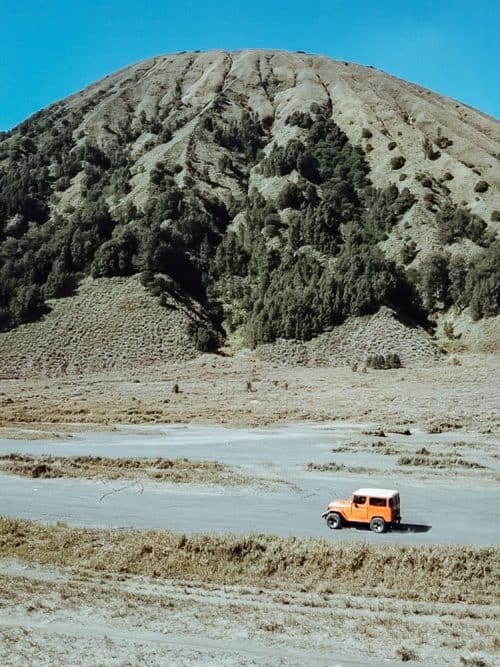 After this, take a drive in the Jeep to the foothills of Mount Bromo volcano to make the ascent to the top of the crater. 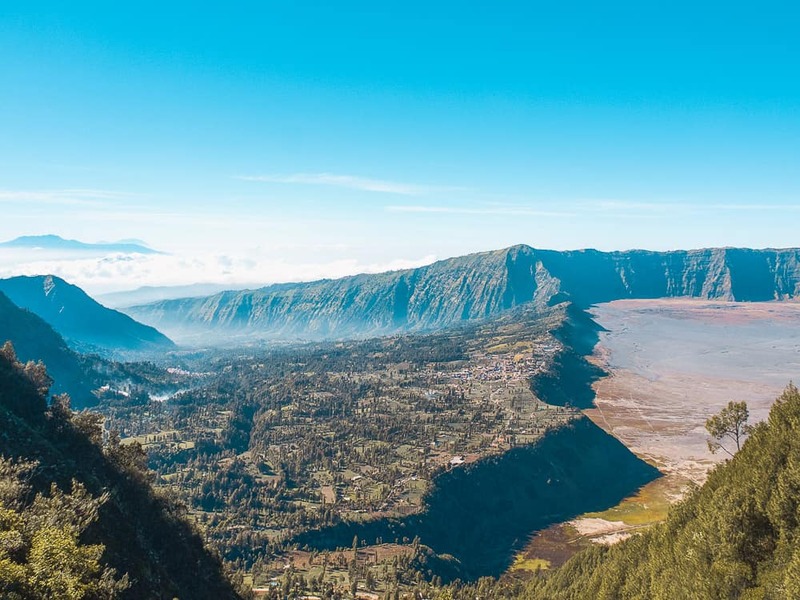 It takes an easy 30 minutes to hike to the crater rim of Mount Bromo and here you can walk around the rim to several viewpoints overlooking the vast valley and into the depths of the crater. Drive back to the village in the Jeep for an excellent pancake breakfast before leaving on the way to the Kawah Ijen region. Depart Bromo village around 11 am for 2 hours of driving and then stopping for lunch (Javanese and Indonesian food). Drive a further 1 hour and 30 minutes to a hotel Bondowoso (simple but clean, without hot water). It is necessary to take a good rest here because the departure from the hotel is scheduled for 11:00 pm. You will be given a takeaway dinner which will allow you to eat at a time that suits you. 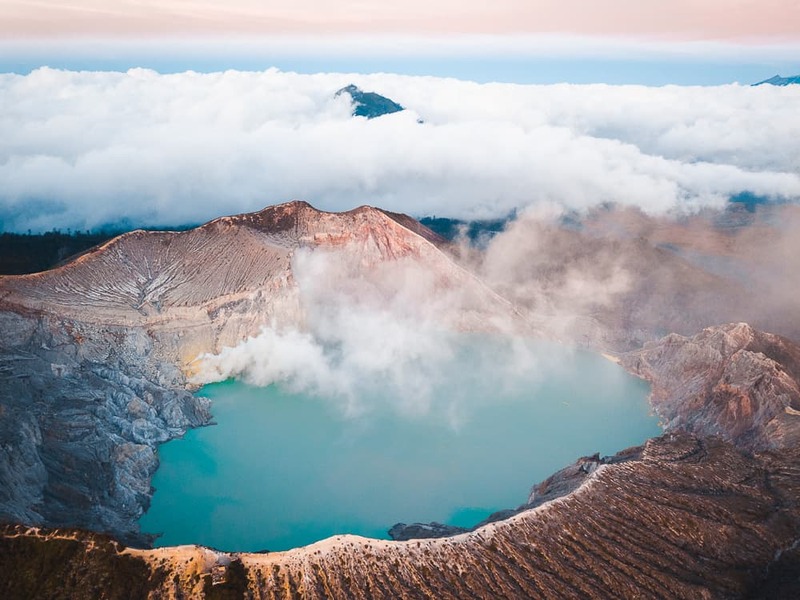 Leave the hotel in the minivan for a 2 hour drive through the forest and coffee plantations and arrive at the base camp of Kawah Ijen, (Paltuding) at 1900m above sea level. Keep an eye out for the wild Luwak’s! At 1 am a professional guide (Hary, Pour or 1 of the 5 guides from Indo Travel Team) will lead you to the top of the crater Kawah Ijen volcano. It is approximately a 1 hour and 30-minute hike, the first hour is moderately challenging then the rest is easy. 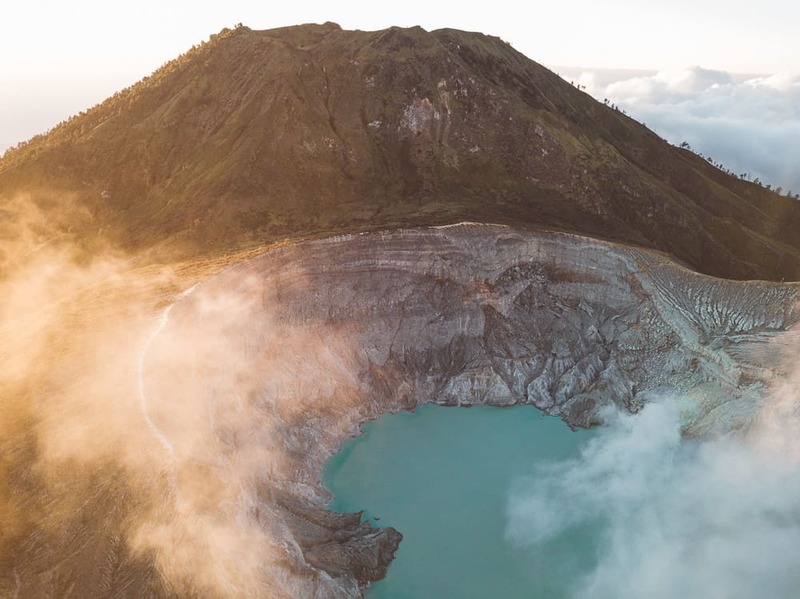 Once you make it to the crater rim of Mount Ijen you can descend into the crater of the volcano to discover nature’s miracle and the famous blue flames of Mount Ijen. You will be given a respirator to wear down in the heart of the crater to protect you from the sulphur vapours that may be blown in your direction. 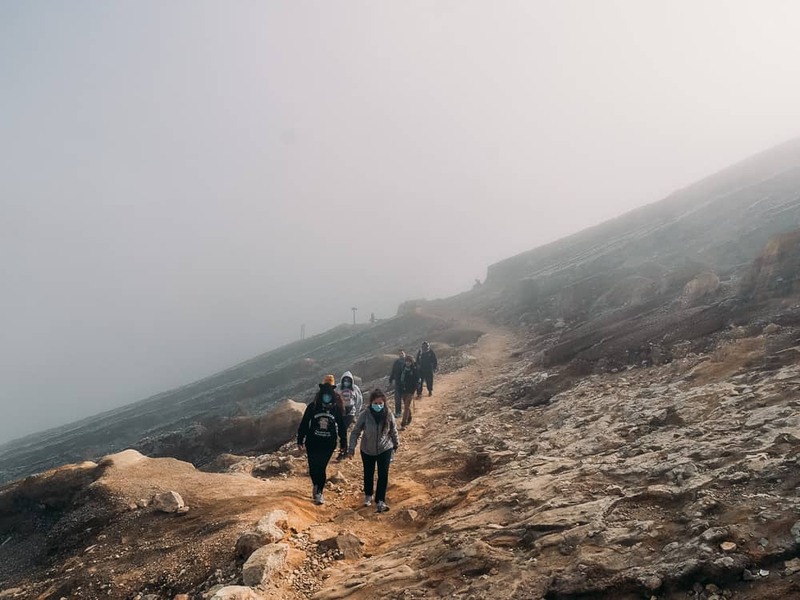 It is up to you if you would like to watch the sunrise from down in the crater by the blue lake or alternatively you can hike back to the top of the crater rim and watch the sunrise over the largest acidic lake in the world. Watching the sunrise from the crater rim was truly an unforgettable moment and one of the best sunrises I have ever seen to date! Inside the crater is a sulphur mine where you will see the local workers exploiting the sulphur. You will witness the enormous courage and hard labour of these men (miners and bearers) who live by the extraction of this sulphur which is used for pharmacology and cosmetology. 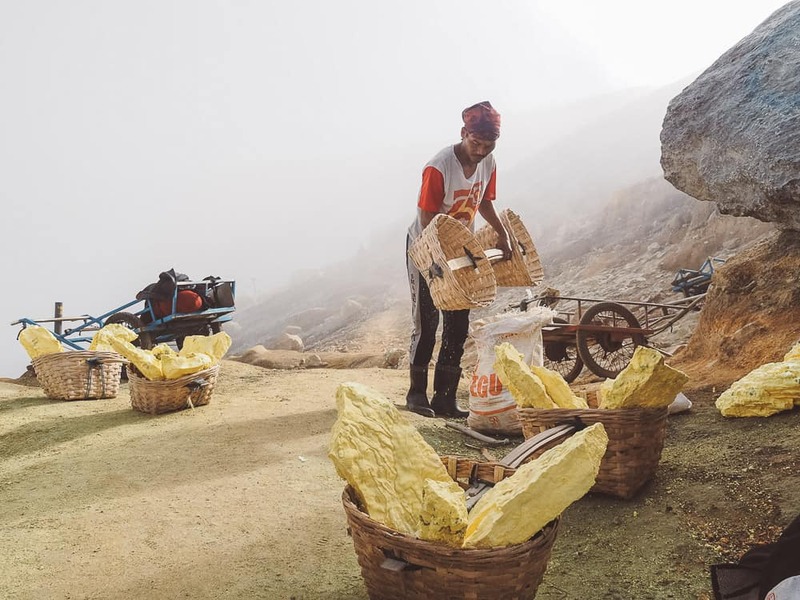 Every day the miners will do numerous trips in and out of the crater carrying up to 50 kilos of sulphur in their baskets which they will only receive 1,000 Rupiah (10 cents) per kilo. At around 9 am begin the one hour hike back down to the base camp and drive for 20 minutes to a traditional warung to enjoy a local breakfast. The last leg of the trip is a 1-hour drive back to Banyuwangi port in Java to take the ferry back to Bali. 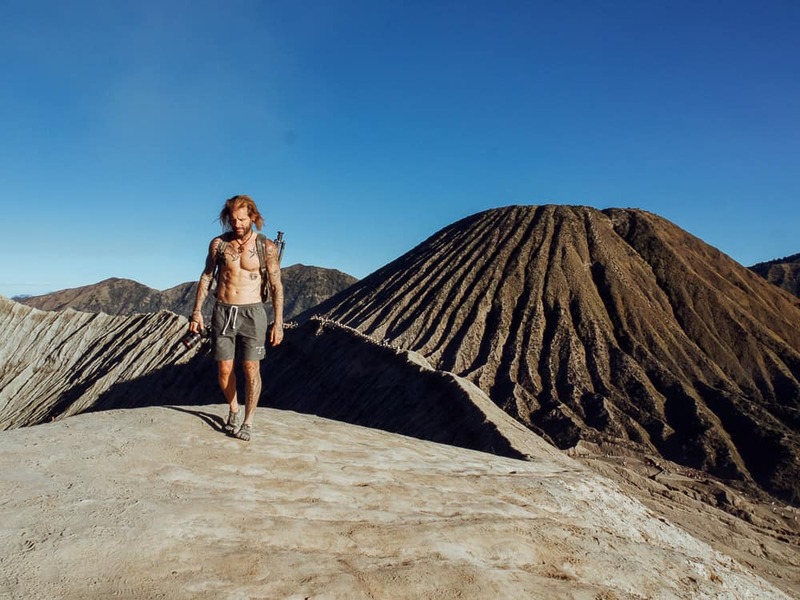 From Gillimanuk, west Bali port, the drive is approximately 4 hours to the drop-off point in Seminyak and this will be the end of the Mount Bromo and Mount Ijen adventure. Alternatively, you are welcome to be dropped off in Banyuwangi if you wish to explore more of East Java on your own accord. As hot as Indonesia can be temperature wise, you will be surprised at how cold it can get in the mountains in the early hours of the morning. Be sure to pack some warm clothes, good hiking shoes and of course a camera to capture the unforgettable experience! There is a lot of driving involved in between each location so I recommend having a set of ear plugs and a neck pillow for comfort and to utilise this time to sleep. It is quite a faced paced itinerary though it is an expedition you will never forget, so please don’t forget to smile and enjoy!